The date above is the official date when the agreement was last updated. If you did not review the document before the date that the revision went into effect, your access to the site will be denied and your acceptance to the agreement becomes void 30 days after it is put into effect. You must also agree that these policies (“agreement” or “terms”) govern your use on this site and also govern whether you are accessing the site directly or through a third-party website or application. Specific areas, features, or functionality of the site may be subject to additional Terms of Service. Additional information may be provided at the time that you access or use the relevant area. At certain times, additional rules may conflict with this agreement, in the event of such, the additional rules will control and govern your use of the site or specific area of the site. Please note the arbitration provision set forth below in agreement to the site, requiring you to arbitrate any claims you have against the site on an individual basis. By visiting the site, viewing any content on the site, and using any third-party websites or social profiles directly from the site, you represent and warrant that you have read, understood, and have the legal capacity to be bound to this agreement and each of its terms. As you are likely aware, the internet offers a medium that requires constant updates and revisions in order to ensure the site is capable of meeting your needs and the terms of service are able to withstand any violations. Coaster to Coaster will work hard to ensure that this site meets your needs and that the terms of service are appropriate and will withstand any potential or past violations. The terms of this agreement will change from time to time. By continuing to use this site, or any portion thereof, after we post any such changes, you will still accept to be bound by this agreement. This site may change, restrict access to, suspend or discontinue the site, or any portion of the site. 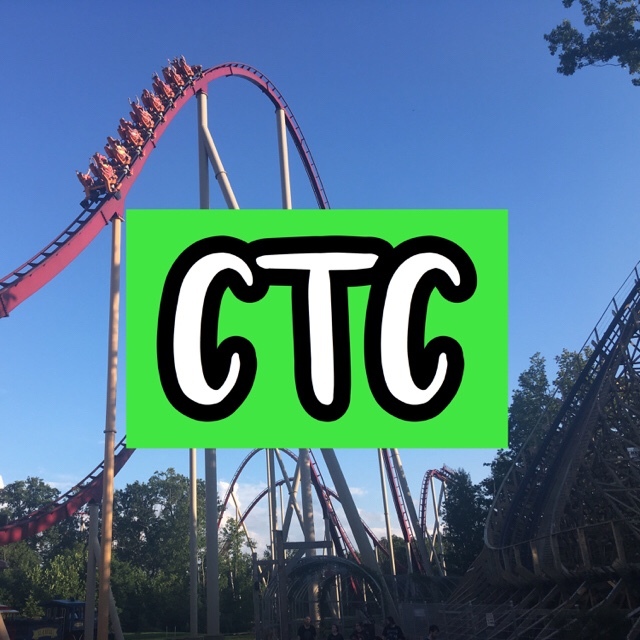 If there is a major change in the terms between (“you” or “user”) and Coaster to Coaster, we will publicly make it available and note that there are changes to these terms of service. Normally, we will update our Terms of Service once-twice a year. As between you (“visitor” or “user”) the content, photographs, images, data, or other materials (“content”) that are made available through the site are the property of Coaster to Coaster. All content is protected by the United States and foreign copyright, trademark, and other intellectual property laws. No material from the site may be copied, reproduced, republished, uploaded, posted, transmitted, or distributed in any way. Modification of the materials or use of the content for any other purpose is a violation of Coaster to Coaster’s copyright, trademark, and others’ proprietary rights. For purposes of this agreement, the use of any such material on any other website or networked computer environment is prohibited. If you would like to duplicate, distribute, store, communicate, broadcast, reproduce or transmit, you must have a record on file with Coaster to Coaster. Please email coastertocoasterofficial@gmail.com for more information. Please include your name, date of reproduction, and the use of reproduction to be considered for permission. If you reproduce my content without permission, the content that was used by any means or way will suffer actions through social media profiles to further handle the violation. In serious cases, a report will be filed with law enforcement for violating Coaster to Coaster’s terms. This is regardless of if you have credit. Remember: Giving credit does not signify compliance with copyright law. Authorized Coaster to Coaster items and or merchandise are sold on Teespring. Content that is authorized will be displayed on the Coaster to Coaster lnk.bio website. This website will be updated whenever a new social profile or link is found to be useful to Coaster to Coaster viewers (“visitors” or “users”). This will also ensure that everyone knows all authorized Coaster to Coaster social profiles/links. This profile will be updated with current up-to-date official links for Coaster to Coaster. You can trust clicking these links with no harm. Additionally, any links on the official Coaster to Coaster social profile (links below) you can also trust. Coaster to Coaster cannot govern and control the information on third-party sites in which; terms are used specifically to govern your use including the terms stated above. If you receive a fake social profile or link that is suspicious, please contact Coaster to Coaster at coastertocoasterofficial@gmail.com and we will contact the necessary people to handle the situation. Or, if you choose, you may contact the customer support for the social platform to have it handled and Report it. It is strongly advised to contact us regarding the matter. You may not use any trademark or service mark appearing on the site without the prior consent on file with Coaster to Coaster. Doing so, without consent or making it aware of us, is considered trademark infringement and will be void by the U.S. and foreign copyright and intellectual property laws. Making it appear that a third-party site is presenting, endorsing, or incorporating any of the content of Coaster to Coaster is prohibited and is void. That includes, but is not limited to, (I) making appearances that your content is sponsored by Coaster to Coaster; (II) making it appear that a third-party site is incorporating Coaster to Coaster’s content; (III) making it appear that a third-party site is being incorporated by Coaster to Coaster. You must have a record on file with Coaster to Coaster which will determine it’s availability to be publicly displayed on websites and social media websites if we grant it herein. Coaster to Coaster reserves the right, in sole, exclusive, and complete discretion, and without cause and/or without notice to (I) terminate without notice your ability to access or use the site and (II) delete any data. This site is controlled and operated by Coaster to Coaster in Ohio, United States of America. Coaster to Coaster makes no representation that materials on the site are appropriate or available for use in other locations. Those who choose to access the site from other locations do so on their own initiative and are solely responsible for compliance with local laws if any to the extent local laws are applicable. Any other goods being sold with the use of the term “Coaster to Coaster” are infringing on Coaster to Coaster trademark rights. Any authorized goods or items being sold on other websites by other people will be publicly announced by them that it is authorized by (“we” or “us”) that they have our consent to do so. If you believe that someone has infringed on Coaster to Coaster trademark rights, please contact Coaster to Coaster using the information below. From time to time, Coaster to Coaster may have to cancel or refuse an order placed by you. Coaster to Coaster may, in sole discretion, limit or cancel quantities purchased per person, per household or per order. These restrictions may include orders placed by or under the same Teespring account, the same credit card, and orders that use the same billing and/or shipping address. In such an instance, if practical, Coaster to Coaster will notify you of the reason for canceling or refusing the order. We will do so via the email and/or billing address/phone number provided at the time the order was made. Coaster to Coaster reserves the right to limit or prohibit orders that, in our sole judgment, appear to be placed by dealers, resellers, or distributors. Coaster to Coaster works hard to make the site interesting but we cannot guarantee that our users will always find everything to their liking. Please read and understand this disclaimer carefully before using this site. Your use of this site is “as is” and “as available.” Coaster to Coaster does not make any guaranty of the accuracy, correctness, usefulness, or completeness of the site, specifically, Coaster to Coaster disclaims (I) any implied warranties of title, non-infringement, merchantability, and fitness for any particular purpose regarding the site, and (II) all warranties not expressly made in these terms. Some jurisdictions do not allow the exclusion of certain warranties. Accordingly, some of the above exclusions in this section may not apply to you. Note that the exclusions in this section do not apply in New Jersey, United States of America. You have the choice of creating a WordPress account in connection Coaster to Coaster when you view the site. You agree that the information you grant during that process will be accurate and complete. You also agree not to (I) select, register, or attempt to register, or use the name or any other identifiable information of another person with the intention of impersonating that person; (II) use the name of anyone else without their permission or authorization; (III) use a name in violation of the of the intellectual property rights of any individual; or (IV) use a name that Coaster to Coaster considers to be offensive or inappropriate. You agree that you are responsible for all statements, acts, or omissions that occur on your account while your password is being used. You shouldn’t authorize any third-party website to access or use the site in order to act on your behalf. If you do so, you will be responsible for all acts and/or omissions of that third-party on or in connection with the site. You are responsible for maintaining the confidentiality of your password, and you are fully and always responsible for all activities that occur under your password. If you believe that someone has accessed your account without your authorization, please reset your password. Coaster to Coaster and Automattic, Inc. recommends that you turn on Two-Factor Authentication to protect your account. To reset your password or turn on Two-Factor Authentication, use the links below. Any content posted, submitted, or uploaded to Coaster to Coaster’s website or social media profiles, whether text or images, becomes the property of Coaster to Coaster and may be reproduced, modified, and distributed as we see fit, in any medium, for any purpose, and in perpetuity. Coaster to Coaster does not accept confidential or proprietary information, comments, suggestions, or questions, and therefore not confidential information will remain the property of Coaster to Coaster. By interacting with Coaster to Coaster’s social profiles and website, you understand that you may get communications including, but not limited to (I); new content from Coaster to Coaster (II) merchandise confirmation, status of an order, etc. ; (III) commercial messages to advertise new products or promotions. You may opt-out of these messages by following instructions at the bottom of any email messages. Please note, however, that some messages are required and do not give you the option to opt-out. Please contact Coaster to Coaster if you have any questions or concerns. The types of personal information you provide to us are limited to the following: first & last name, email address, and phone number. To deliver the services that you request or purchase. To alert you to product upgrades, special offers, updated information and other new services provided by Coaster to Coaster or in connection with Teespring, the provider of Coaster to Coaster official merchandise. Coaster to Coaster will never sell or rent your personal information. Coaster to Coaster may disclose your personal information if required to do so by law (for example, a subpoena) or regulation, or in good faith to (I) comply with legal processes served on the site, or (II) protect the rights and property of Coaster to Coaster, or (III) where Coaster to Coaster records indicate fraudulent activity or other deceptive practices that a governmental agency should be made aware of, or (IV) where your communication suggests possible harm to others. The online registration at Coaster to Coaster is designed to give you options concerning the privacy of your credit card information, name, address, email and any other information you provide us. Coaster to Coaster is committed to data security with respect to information collected on our site. The industry standard security measures available through your browser called SSL encryption is offered on this site. Coaster to Coaster strictly protects the security of your personal information. The service is designed to carefully protect your data from loss, misuse, unauthorized access or disclosure, alteration, or destruction. Your personal information is never shared outside the internal service without your permission, except as stated herein. Internally in the service, data is stored in password-controlled servers with limited access. The Coaster to Coaster website and the Coaster to Coaster merchandise shop hosted in connection with Teespring uses SSL encryption when collecting or transferring sensitive data such as credit card and personal information. Credit card numbers are only used for processing payment and are not used for other purposes. Coaster to Coaster and Teespring’s efforts to protect credit card fraud helps to protect your financial data security. Coaster to Coaster has its own initiative to use the social platforms the brand is participating in currently. We have chosen ones with SS encryption to protect your data, however, please know; the brand is not responsible for damages to your personal or financial data security. Use the websites at your own risk and motive. Coaster to Coaster will provide you with the means to ensure that your personal information is correct and current. You may review and update this information at any time by logging into your WordPress account. To protect your privacy and security, Coaster to Coaster will also take reasonable steps to verify your identity, such as password and username before granting access to your data, and two-step authentication (whatever applies to your account and preferences). This website is not set up to track, collect or distribute personal information. This site may generate certain kinds of non-identifying site usage data, such as the number of hits and visits to our sites. This information is used for internal purposes only. The statistics contain no personal information and cannot be used to gather such information. Coaster to Coaster’s website uses “cookies” to help you personalize your online experience. A cookie is a text file that is placed on your hard disk by a web page server. Cookies cannot be used to run programs or deliver viruses to your computer. Cookies are uniquely assigned to you, and can only be read by a web server in the domain that has issued the cookie to you. You have the ability to accept or decline cookies. Most web browsers automatically accept cookies, but you can usually modify your browser setting to decline cookies if you prefer. If you choose to decline cookies, you may not be able to fully experience the interactive features of the Coaster to Coaster website or services.